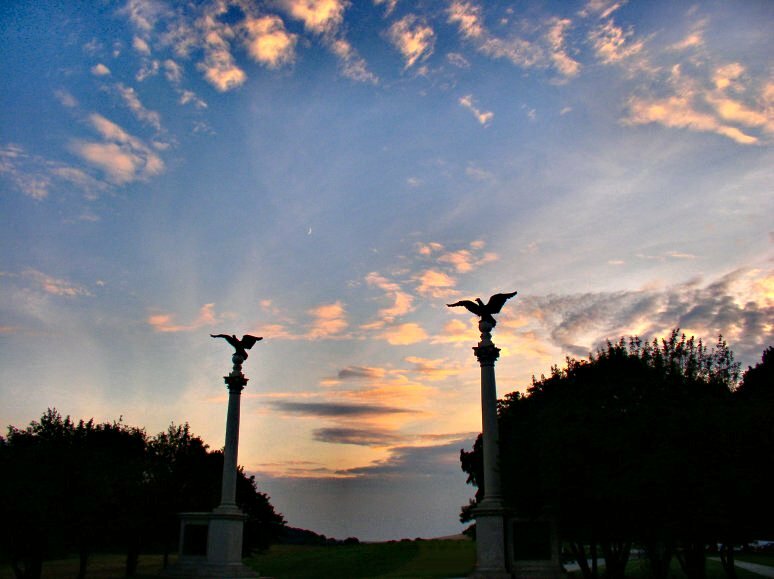 Valley Forge is not the site of a great battle, but has long been recognized as the site of a great victory - the victory of the human spirit. 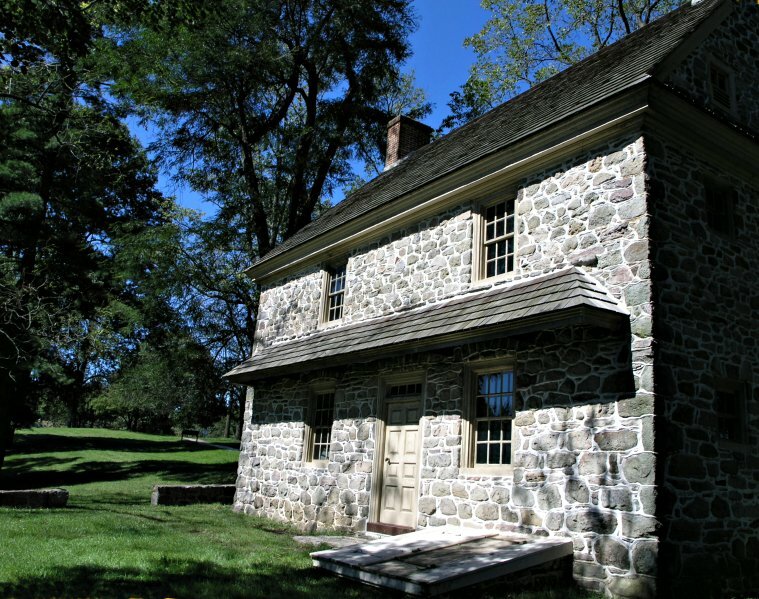 The Continental Army under George Washington spent the winter of 1777-78 here. 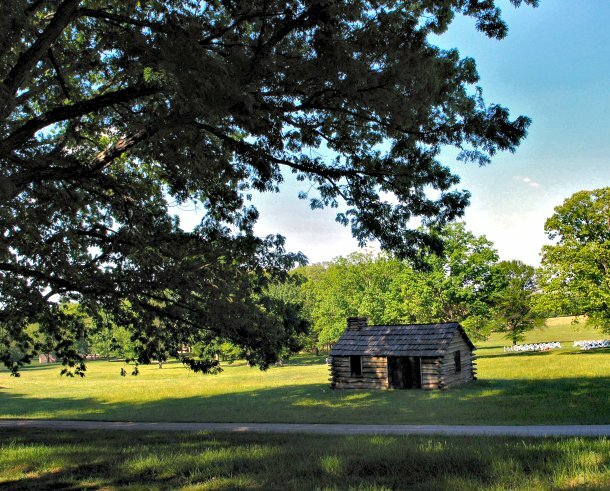 This is General Varnum's headquarters. This is a re-creation of a soldier's hut - built around 1910. 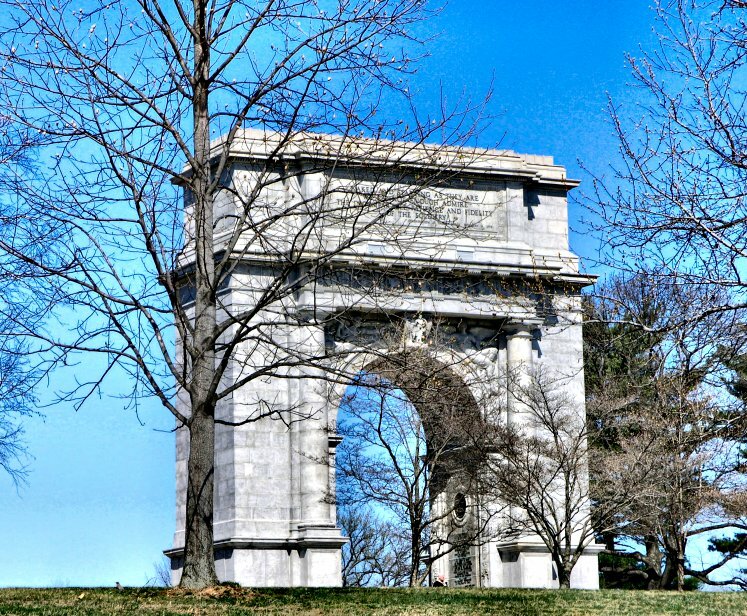 And last, the Memorial Arch, also completed around 1914, designed by Paul Phillipe Cret. Took this early Spring '06. Hope you enjoy! I so much enjoyed seeing Valley Forge again! It was a walk for me not only through history but down memory lane. I visited this site many times as a child - it is very special to me for many reasons, not the least of which being it was here I took my first pictures on my very first camera on a visit here with my parents and grandparents. Although they have all passed on now, I still have both the B&amp;W pictures, and the camera. Oh my, I am so moved by both of your comments. RiaRia - how wonderful to meet a fellow traveler in the park. I spent many joyful times in the park as a child, and still love it as an adult. I am so glad to have brought back some memories for you. All of my posts on the wildlife site are deer from the park. I am there almost daily and it is my therapist and "medication" of choice!! Bahadir - It's amazing how well you "know me" from just posts and photos. Yes, nature always trumps everything else, but posting in the architecture forum should clue me in for a different focus. I will try some shots of the cathedral (tiny by cathedral standards) and see if I can shift my priorities! Any specific suggestions would be wonderful, but I get your drift. Thanks to both for looking and sharing your thoughts. The reason I came to the conclusion in my previous reply was your point of view while shooting. In #1, for example, the angle takes the attention to the depth of the groove just sweeping the facade.In #2, the space soldier's hut occupies in the overall image is not fair for an architectural photo IMO In #3, perhaps you were right not wishing to sacrificea wholebeautiful sky for the sake of thecolumns!! #4qualifies best for the Architectural type among these images, IMO, if not the best of themconcerning image quality(considering the pixelaration in the sky,Iguessit's a sharpened crop) . Still, compositionwise I'd prefer the tree branches as foreground items rather than obstructing items for the edifice, though it looks nice here. I will try some shots of the cathedral (tiny by cathedral standards) and see if I can shift my priorities! All good suggestions and valid criticisms. In the last one you are correct - I was quite far away from the subject so cropped and it pixilated - of course. It's very hard for me to give up the green and the sky for the ediface. Perhaps I should stick to landscape and forego architecture. But I'll give it another try with the cathedral as soon as time permits. I've ordered a new camera and hope it comes soon. A holiday present for "mee-self". And I did not miss your play on words - I haven't heard back from Temple re your "draft". I guess I should go ahead a get a gmail account. Don't think you'll give in ! !